It Only Feels Like Forever! Well, I’d still like to have seen the Blue Jays in it, but fans in Chicago and Cleveland have been waiting for a World Series championship a lot longer than Toronto baseball fans, who haven’t seen a title since 1993. Their droughts make even the Toronto Maple Leafs’ last Stanley Cup win in 1967 seem pretty recent! Cleveland just got to celebrate the Cavaliers’ NBA championship, and the city’s first of any kind since 1964, but they haven’t seen their baseball team win the World Series since 1948. And even that, of course, pales in comparison to the mother of all championship droughts. 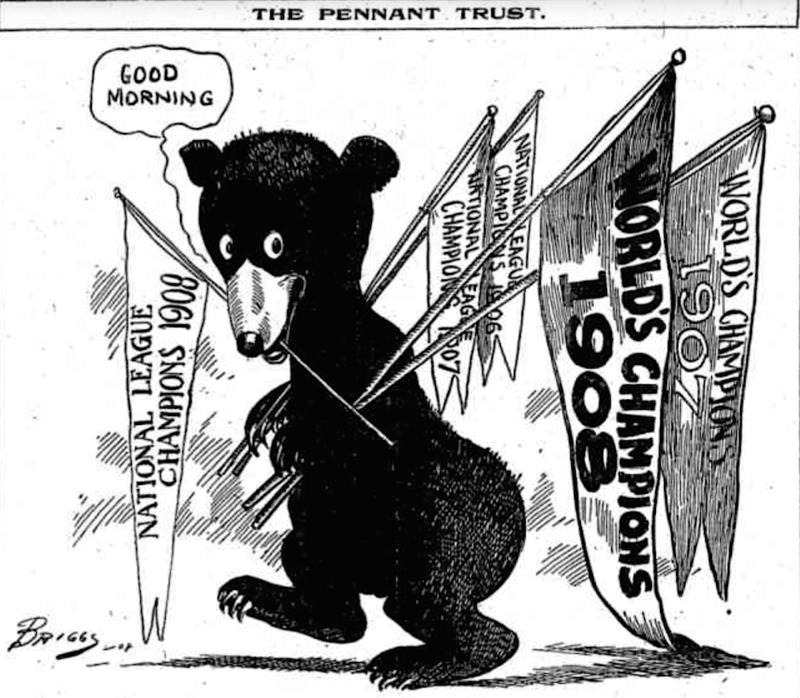 The Chicago Cubs haven’t even been to the World Series since 1945, and they haven’t won it since their back-to-back titles in 1907 and 1908! Both wins came over the Detroit Tigers. 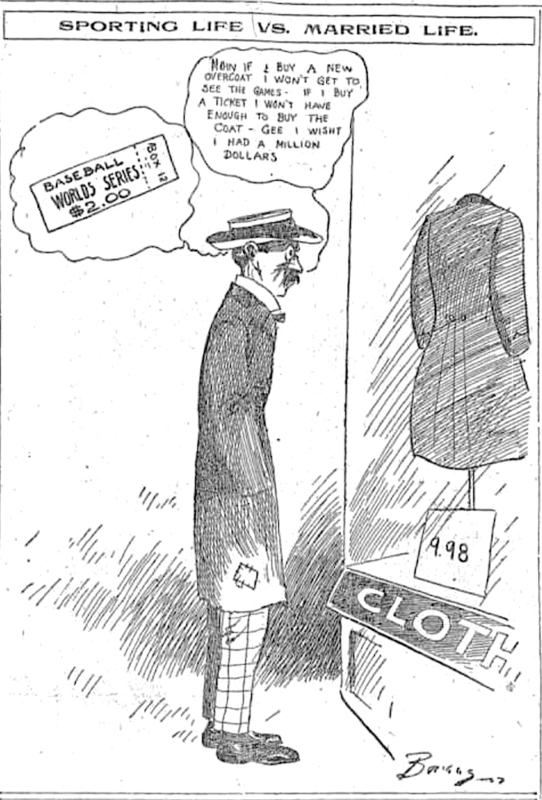 From the Chicago Tribune on October 6, 1907. Prices go up, but the dilemma remains. next day. The game was called after 12 innings, still tied 3-3. 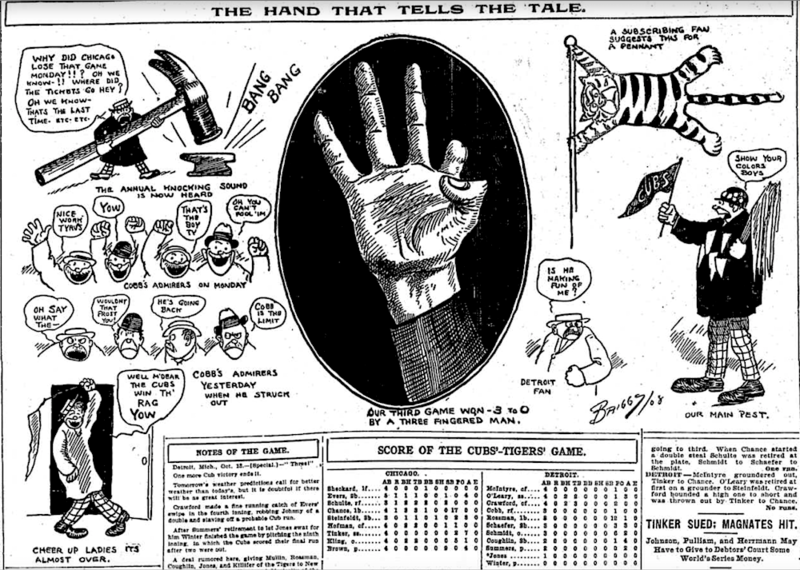 Because of the tie game, it took five for the Cubs to sweep the Detroit Tigers in 1907. 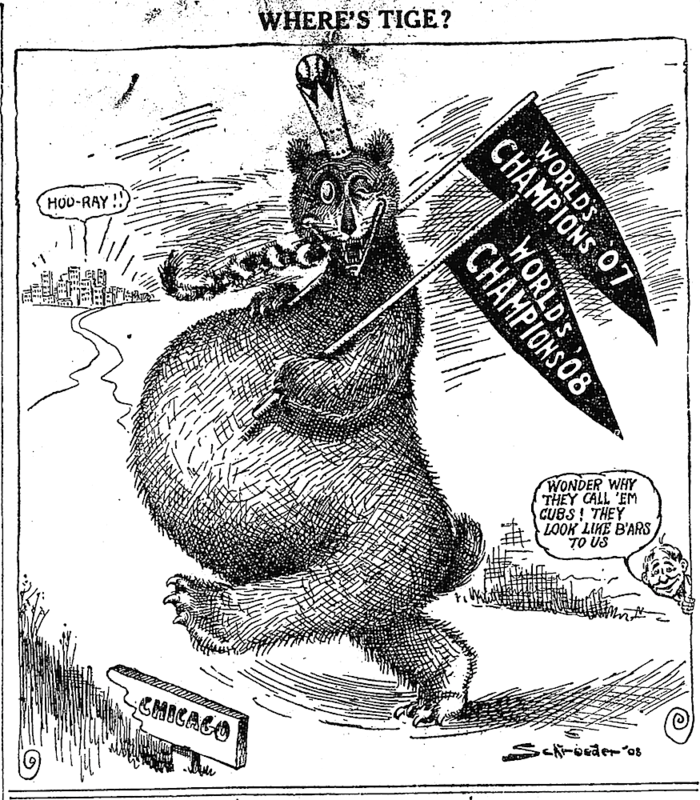 This cartoon appeared in the Tribune on October 13, 1907.
gave Chicago a 3-1 lead over Detroit in the 1908 Series. 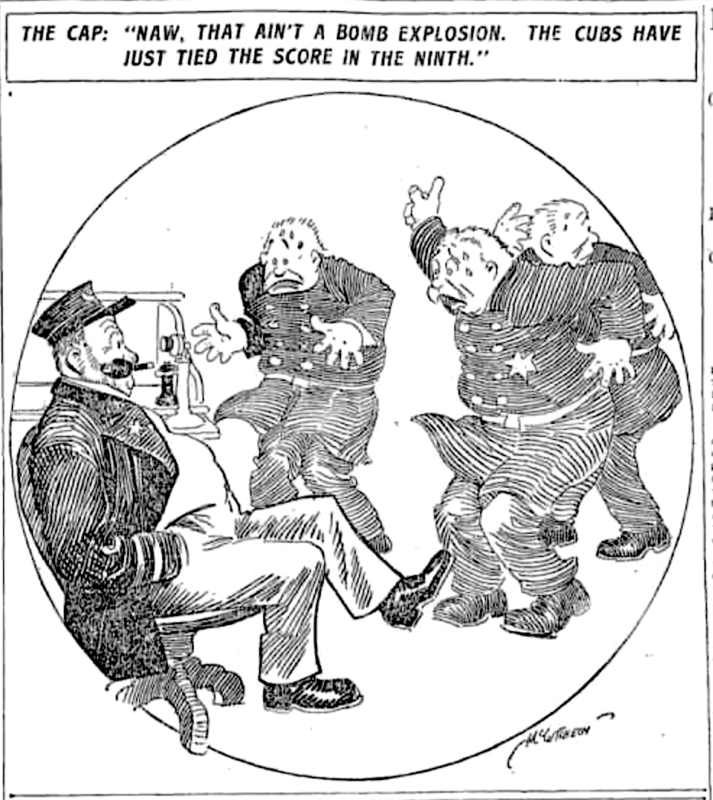 The Cubs then made it two in a row, as noted in the Tribune on October 15, 1908. And in the Detroit Free Press the same day. Love the old cartoons! More fun than updates on a cell phone! Good stuff. Loved the cartoons. Go Cubs . I too, love the cartoons! The Bear cub with all the flags is so cool…. And both teams have not won since the 40’s??? it is time for them to win now!! !